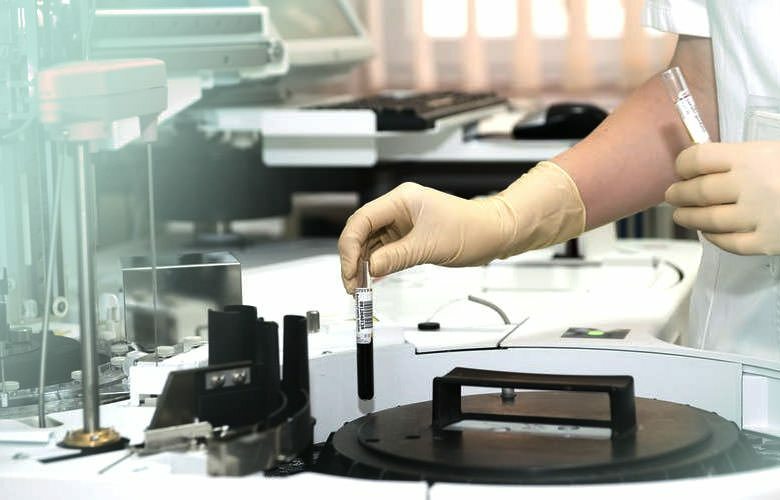 We provided a customized order processing and monitoring system. Musterangebot (Sample offer), Verlängerung wird benötigt. Facility Management System is a Business Management Consultants / facility management company based in Hamburg, Germany. The facility management is a growing industry that has transformed more and more companies to increase efficiency and quality. In August 2009 this idea became a reality and the six market-tested craft enterprises together with their service portfolio and Experience potentials founded the Facility Management System in Hamburg, Germany. Facility Management System is getting work order from Airbus, splitting it into multiple work orders for subcontractor. They need to connect/manage their business operations including their Order System along with monitoring tool for their 3 types of business (1 – Electrical and 2 – heating, ventilation, plumbing, 3 – finishing trades). 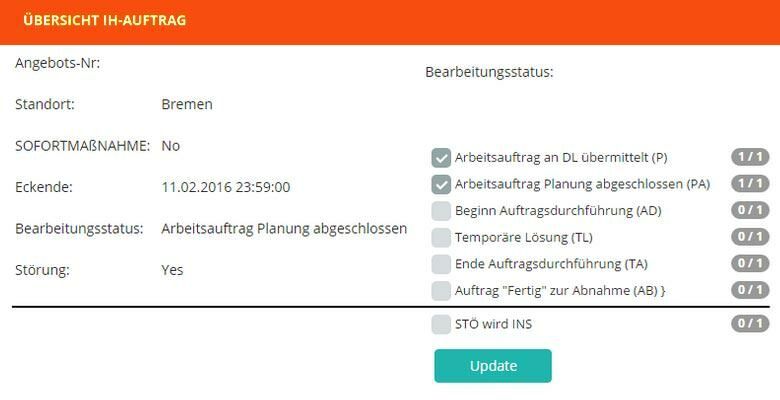 A full functioning IH-Aufträge (Offer) creation system for Facility Management System. 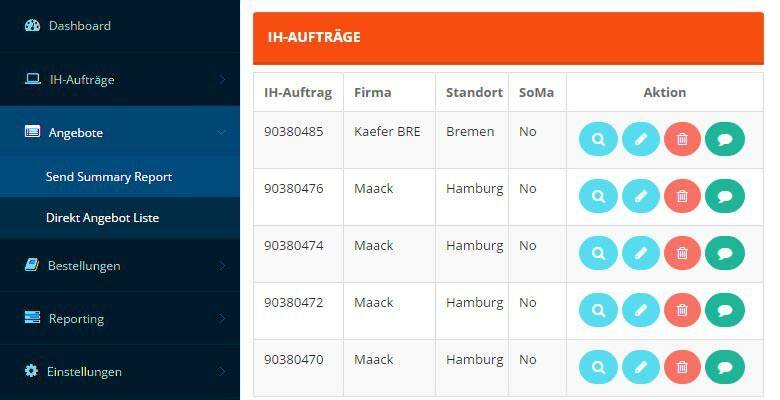 From the section, the user is able to create IH-Aufträge (Offer) as well as assign the work to the Sub Contractor (NU). Also, we provided an Import option ⇒ AN admin can import excel files (SAP export excel) with offer they get from Airbus. A full functioning reporting system. We provide multiple type of reporting option to Facility Management System: AN and NU with the export option. Also, AN get notification / report via mail every 3 hours with the most recent status update (Started or completed) as well as and automatic notification mail for Grid Cross IH notes with status in their given format. A full functioning Bestellungen (Orders) creation system. From this section, AN can create the Bestellungen (Orders). Also, Facility Management System (AN) can import .ORD file and map . By importing a .ORD file they create bulk offers for NU. If it’s mapped with IH Note and NU, mail will be sent to them with the .ORD file and .D86 file. The .D86 file is used for the billing system of AN & NU. A full functioning notification tool for web admin panel, desktop notification tool as well as mobile application. Notification Service for NU ⇒ NU get notification via mail daily for pending work.Status on Mobile (Mobile App) for NU ⇒ We provide mobile app for NU. A full functioning Angebot OHNE IH-Auftrag (Direct Offer) creation system. 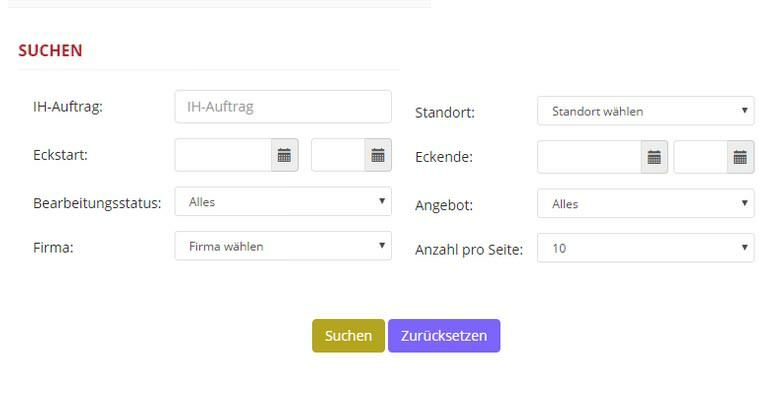 NU can now easily create the Angebot OHNE IH-Auftrag (Direct Offer) with the respective information and start the work. A full functioning log report. 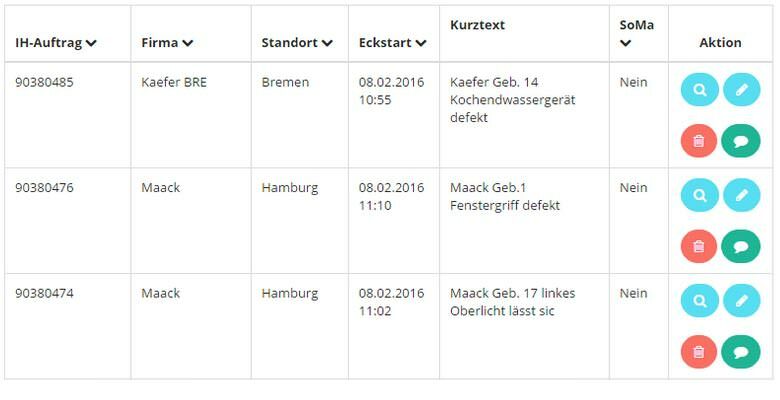 We track every action of IH-Aufträge, creation, offer creation, revise, delete, status changes etc. Also, we track the user activity. A section “presence FUH”, where everyone can enter details of the NU employees who reside in the day or in the next few days at the site Fuhlsbüttel. The entries of a NU must be visible to all NU’s and AN’s. An application that allows the business to interact through Chat Communication ==> AN or NU can communicate with each other via chat from the system. 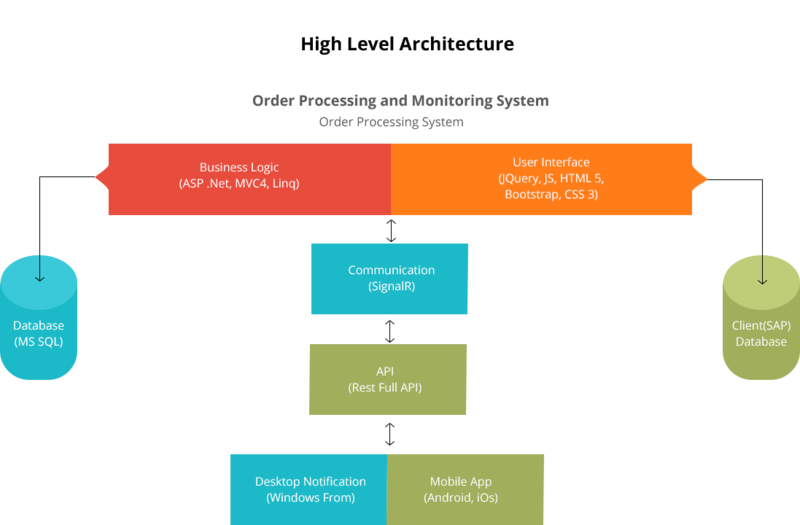 We delivered the customized order processing and monitoring system with real time notification in desktop application and website. Client is using the system on a daily basis to manage and process their order. We have delivered high-quality and result-oriented Web development Solutions.